We just got tipped from EvanTheGamer about Vector and the rule is, when Evan gives you a tip about a game, you take it. 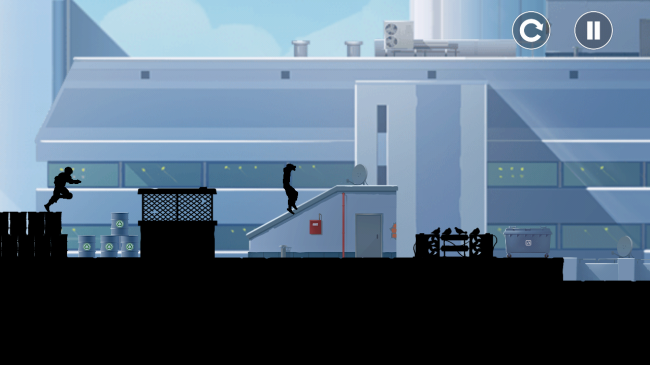 The game is a platformer where you are running away from an evil football player (that’s what he looks like at least) who tries to zap you with a cattle prod. To evade your attacker, you use parkour-style moves atop a building – jumping, sliding, and dashing towards the exit sign. The game runs smooth and the movements are quite fluid. It even has a sweet bass-heavy soundtrack which kind of gets you into this groove when running. Give Evan a shoutout for the good game down below.